Swing by Urban Food Fest at Selfridges. 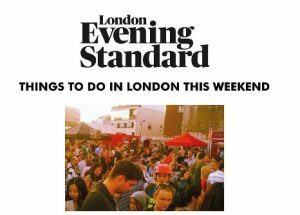 The much-loved Urban Food Fest is settling down and bringing a taste of Shoreditch to the food hall at Selfridges, so if you want a taste of their best street food and cocktails but can’t wait until the weekend, you know where to go. We’ll be heading down for the truffle oil focaccia pizza. 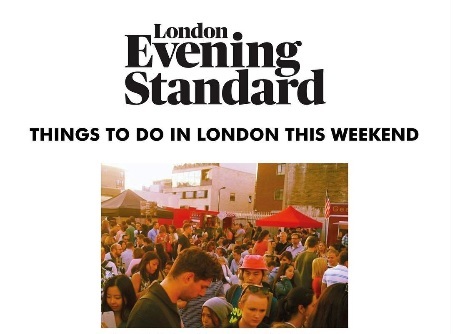 Listed as the top event in The Going Out Guide: Cool Things To Do This Weekend In London. Sample some of the city’s top street food vendors while listening to live music as part of this Saturday night food fair. 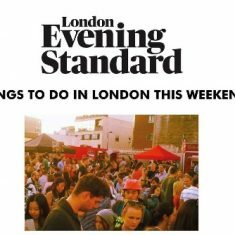 A plethora of street food traders will be congregating around the Shoreditch area, for an extravaganza of street food, entertainment and music. Among the foods on offer will be wood oven pizza, Indian street food, with Italian delicacies and much, much more. An actual night-time street food party, this mini festival will be perching on the side road opposite the Ace Hotel. Urban Food Fest’s USP is that it works with its very own traders to showcase totally unique street food dishes with no two weeks’ line-up being the same. Try everything from Peruvian ox cheeks skewers to frozen yogurt with bacon and popping candy. The event is good for: seasoned foodies who think they have tried every other street food trader in London already. London is packed with moveable feasts: join in the Oktoberfest fun on Shoreditch High Street where there’ll be schnitzels, sauerkraut and strudel alongside Jaeger bombs and lots of lederhosen. Get those Christmassy feelings going with a yuletide-themed street food market in Shoreditch. From this Saturday Urban Food Fest will carry a Christmassy theme — it’s never too early to start chomping on turkey. But this ain’t no traditional roast dinner, expect turkey and burrata pizzas, Irish goose and honey parsnip wraps (pictured) and German sticky pulled pork and apple sauce buns. Oh, and dessert of course: Spanish blackberry mince pies and Canadian spiced clementine and roasted chestnut cookies. A street-food party in the heart of Shoreditch that offers dozens of options ranging from burgers to rolled ice cream. Something for everyone.